The 7M Solar Concentrator (Solar Dish) blends rugged design with art and functionality. Meticulous attention to detail starts from the mechanical design stage. 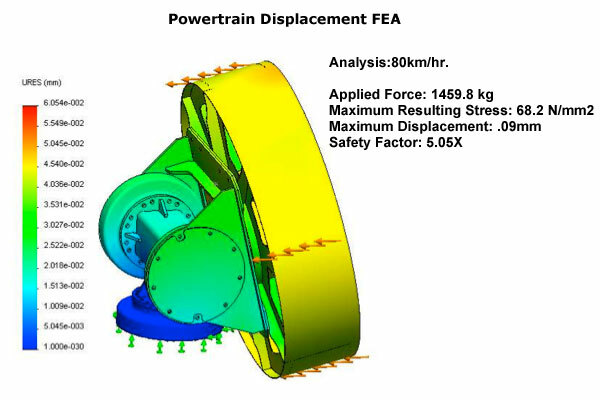 Stress point simulation is performed on all major components to ensure maximum strength and durability. The solar concentrator has been tested for 6 years in harsh winter climates to desert conditions to ensure performance, reliability, and low maintenance for solar power plant developers. 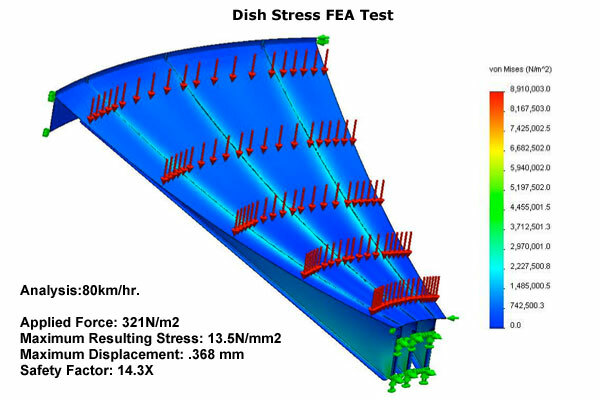 FEA (Finite Element Analysis) analysis tests are performed to calculate stresses and displacements of parts and assemblies under internal and external loads to optimize and validate the design. This rigorous testing is performed to ensure that the the solar concentrator can operate under extreme wind loads and soil conditions. In many cases, the overall cost of making parabolic solar concentrators have hindered their use in utility scale solar power plant projects. The use of stamping dies and automotive manufacturing process has reduced the cost of manufacturing and allows for mass production. The reflective petal is made of a special “glass-infused” anodized aluminum specifically engineered for maximum solar reflectance and superior corrosion resistance. The material is extremely light and durable – unlike glass, it will not break. The dual-axis solar tracker uses a horizontal and vertical slew drive and all components are designed with high quality material including stainless steel bearings and robust electronics for long lasting performance and low maintenance. The skirting and trusses are made of high grade aluminum. 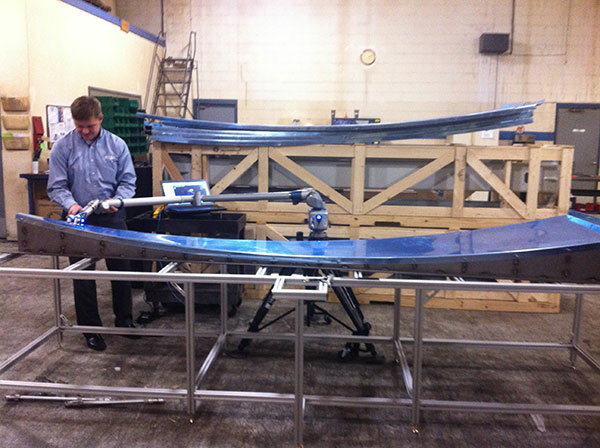 All components are easily accessible for inspection. The solar dish is engineered with zero optical alignment which eliminates the need for alignment of mirrors during the commissioning process. This reduces the cost of setup and installation. With the patented “quasi-shape” dish design, maximum reflective efficiency is achieved.